Know Anyone in the Limo Biz? All entrants will also receive an offer for a free trial transportation membership on GigMasters! If you're not a transportation vendor yourself, that's OK! As always, GigMasters members can earn bonus cash (up to $74.75) by referring someone. Our referral program applies to all new memberships in any category. For more info, read this blog post. As you can tell, we're very excited about the expansion of our transportation section. So, if you know ANYONE in this business, please let us know! 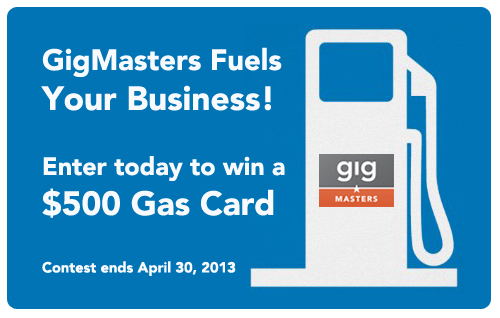 Email marketing@gigmasters.com if you have any questions about the contest or our membership referral program.